The Ivory-billed Woodpecker, the largest woodpecker in the world, has been considered extinct in U. S. since 1938 when its sighting was last authenticated. However, the IBW also lived in Cuba where it was last seen as recently as 2009, making its continued existence in Cuba more probable. In May of 2012, the Western Alliance for Nature sponsored an initial exploration of an area in eastern Cuba where it was last seen. The exploration was led by Arturo Kirconnell Paez, Ornithologist With the Cuba National Museum of Natural History. 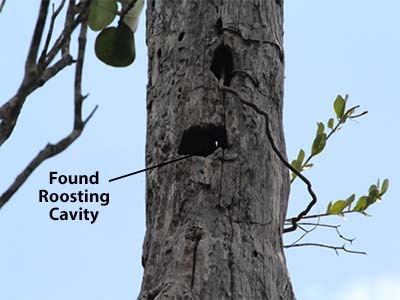 The results were quite promising, having located a recently excavated roosting cavity. Additional exploration is clearly called for to confirm their presence through scientifically conducted in-depth surveys. The obstacle to continuing this exploration has been the difficulty in getting both personnel and funding into Cuba. With the recent opening of Cuba to Americans we can now continue our project and fulfill our mission to find and protect the Ivory-billed Woodpecker in Cuba. In fact the opening of Cuba opens the flood gate for development and resource exploitation which once extirpated the IBW from the U.S. thus making this an urgent mission. We will expand our expedition to also search for the Cuban Kite, close to extinction with virtually unknown ecology. We need additional funding to conduct this urgent mission. 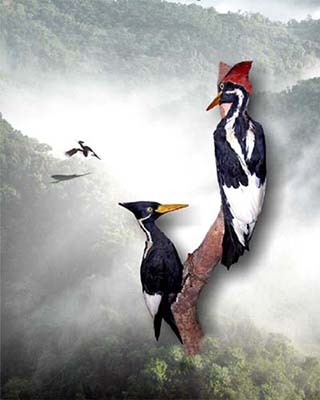 The Ivory Billed Woodpecker has become the "Holy Grail" for ornithologists, conservationists and birders. Donate and join this quest. You have an opportunity to participate in an exciting and history making event. Donors of $2,500 or more will be recognized as sponsors in all our press releases and publications on this project.